This book is really what reignited my love of reading. A thrilling psychological page turner which had me hooked and saw me start on Sunday and finish on the Monday! The book centres around a happy young couple who move into their dream flat only to find that their neighbours develop a dangerous obsession with taunting them. I loved this book – it gave me real Rosemary’s Baby type feels when I was reading it. I still kept thinking about the characters until at least a week after which is always the mark of a great book to me! I was thrilled when I started following Mark on Twitter to see that he’d written a short sequel to The Magpies due for release at the end of February. It was an intriguing follow up, but I was quite disappointed by it overall. Whilst it addressed some of the open ends, I felt towards the end it became a little predictable, although it has left it open for another sequel, so I’m hoping that’s why it ended the way it did! I feel hugely invested in the main character, Jamie Knight, and I can’t wait to see where he ends up next, fingers crossed for a final and satisfactory end to this characters ongoing battle with his nemesis, Lucy! Spurred on by how much I loved The Magpies, and how much I was keen to read the sequel , I thought I’d explore another of Mark’s books and was not disappointed by Follow You Home. Mark cites ‘scary things happening to ordinary people’ as his inspiration, and this book had twists and turns on every page – with a particularly explosive twist at the end! This was another compelling read by Mark Edwards, but the ending let it down a little… It felt somewhat rushed and as though some of the climatic scene was a little gratuitous; it’s hard to go into more detail without spoiling the end. It’s an enjoyable read, but some of Andrew, the main characters choices were so infuriating…! Let me caveat this I absolutely love Jodi Picoult’s previous works. Her writing is usually stunning (although seemingly quite divisive among the reading community!). This short was absolutely dire. It had a bad ending, it didn’t really go anywhere, the characters were in no way believable either. This isn’t the type of book I would usually pursue, but after Hels recommended it to me, I gave it a go. When Rosie and Penn fall pregnant with their fifth child, no one is surprised to find it’s another boy. As it turns out, Claude is different to his brothers – he puts on dresses and refuses to take them off, he wants to take a purse to kindergarten; Claude wants to be a girl. This book is written so beautifully; I absolutely love books that observe how society deals with something that wouldn’t be considered ‘the norm’. This book was so powerful, and gave me so much food for thought. I wouldn’t say there’s much of a story line until the final few chapters, but its worth it for how poetically its written. I loved Mhiaria MacFarlane’s previous work. if you liked the I Heart series or just like a good silly romance, then Mhiari Macfarlane is for you. I really like her books as they often have unexpected twists towards the end making you wonder if the two main protagonists will end up together or not. I wasn’t disappointed by Who’s That Girl – I find Mhiaria’s writing so easy to fall into, and the characters are so warm and relatable you absolutely can’t help but root for them. I thoroughly enjoyed this heart-warming read. This book was another Hels recommendation and it blew my mind. This was a bit of a reading challenge to me – it’s a long book and as lots of you will know, I really struggled with getting my ‘reading mojo’ back, let alone with a book of this size and complexity, however, I found myself enthralled. This book is so unbelievably clever. It follows the journey of Scott Murdoch, an ex-intelligence agent who was in one of the highest ranking factions of the US Secret Service. When a murdered woman is found at the Eastside Inn, it soon becomes apparent to Scott that whoever committed this crime used his book as a manual for murder. Parallel to this, the book journeys to Saudi Arabia and there, we begin to learn the story of The Saracen – a man who will soon pose a huge threat to national security. This book is clever and thrilling; I was so invested in the race against time, I could not put it down. I’d highly recommend this book to anyone! I am absolutely loving being back into reading, I’ve set a small target of 20 books this year, which I’m really hoping I’ll make! I’ve now just started The Visitor by K.L Slater – if you’ve read it, what did you think? Bit of a Mark Edwards binge! Thank you for recommending The Magpies to me, I want to read Follow You Home too! I’m so glad you loved I Am Pilgrim so much, I think you’re the first person that’s actually listened to my recommendation of it! I’ve just downloaded The Visitor to be my next book – then we can discuss it! Such a shame that the Jodi Picoult short was poor. I’m really interests in reading I Am Pilgrim which doesn’t sound like something I would usually read but really interesting and I really want to explore new material. Also, This is How It Always Is sounds like a book I’d be interested in. 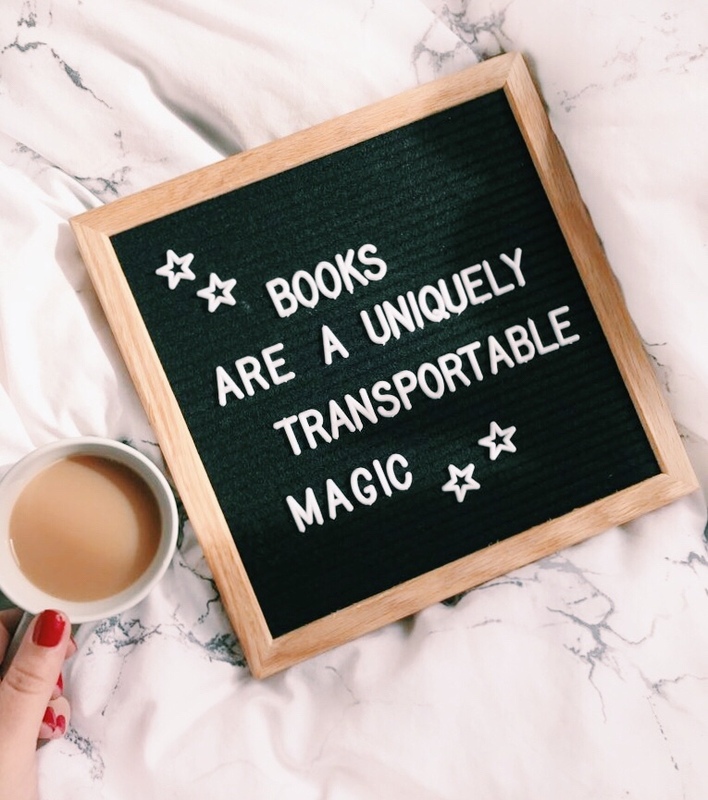 Glad you’ve found your reading mojo! I’m reading so much as the moment too! Looks like I need to pick up some books by Mark Edwards! The Magpies sounds fantastic and very compelling – I love a main character that you can get really invested in so this sounds like an ideal read for me! Shame that the short sequel didn’t quite live up to expectations though! Equally a shame about Jodi Picoult, I’ve also heard brilliant things about her other work although I’ve not read any myself! Once I’ve got through my current (enormous!) TBR list, I’m going to get a copy of I Am Pilgrim, you and Hels have raved about it so much that I can’t not give it a go! Brilliant work on all this reading, I’m sure you’ll smash 20 books in 2018 with no problems! Quite a selection of books here! I haven’t read anything from Mark Edwards. Shame you didn’t like Jodi’s book! I’ve read a couple of hers and loved them. I’m SO into reading at the moment as well, I fully have my reading mojo on full blast. Thankfully I’ve read some AMAZING books this year so far! I haven’t read any of these! I like how there’s such a big variation here. And I really like this short, snappy style of book review – I might have to steal this idea! I’ll definitely need to get myself some Mark Edwards books next time I’m book-shopping! Such a shame about the Jodi Picoult book, I agree her other works are great but this one doesn’t sound so good!! I have never anything of Mark Edwards before! I still can’t believe how books you read, I’ve been on a roll recently but I’m failing this month but this has motivated me to get back into it! Some of these stories sound great and will be adding it to my list! Thanks for this list! I need some more books to read. I’d love to read Mhiaria MacFarlane books – they sound perfect for me! Ooh I am pilgrim sounds really interesting! I don’t have much time to read at the moment due to my very intensive reading list for my degree. But, I have a little list saved in my notes for books that I want to read so I’ll have to make sure to include some of these!